Home » PIllows » The Best Cervical Pillows – Can a Tri Core Pillow Help Your Neck Pain? The Best Cervical Pillows – Can a Tri Core Pillow Help Your Neck Pain? Many people have neck and back pain. There are various ways to relieve the pressure that causes it. Sometimes it’s as simple as finding the best cervical pillow. It will help you align your head and neck to keep the pressure off muscles and nerves. Here you will learn the types of cervical pillows that are available, their benefits, and some of the leading products that help. Often using memory foam, a cervical pillow provides the right amount of compression and decompression around your head or neck. The ergonomic design also contributes to a better night’s sleep. It may be used for abnormal spine curvature or to prevent it. A cervical pillow can also relieve tension and muscle spasms. Many people experience relief from tension headaches, strained neck muscles, arthritis, and even TMJ disorder or whiplash injuries. 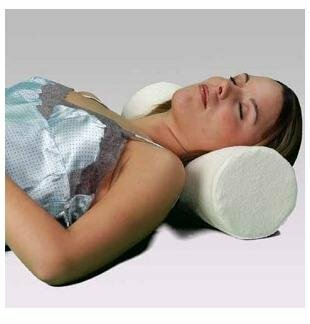 Cradle pillows distribute the weight of your head. They can reduce the pressure that strains your neck and spine. In some cases, they also help prevent snoring by aligning your airways. Another popular type is side pillows. These are curved so that the middle is lower, and ends are higher, which will help to align your neck. The shape supports the upper vertebrae and adds comfort to your shoulders. Comfort pillows are similar to regular pillows, but add a bit more ergonomic support. They look and feel very much the same too. If you need support for a specific area, such as the head, below the neck, or under the lower back or knees, a cervical roll may be the solution. If you have an injury or condition that causes pain and discomfort, you may want to consider displacement pillows. These are often prescribed for neck injuries or to treat an acute problem for the short term. The goal is to add stability before other medical treatments begin. Orthopedic support pillows correct posture and alignment issues. They also help you maintain a proper position. The goal is to provide enough resistance in the cervical/upper thoracic muscles. Another type, the combination pillow, is often adjustable for support over the course of orthopedic medical treatments. Chiropractic specialists often recommend cervical pillows for people with chronic neck pain and headaches. The actual results of the treatment depend on several things. These include your height and size as well as the specific condition. Such pillows can lose their support over time. It's therefore important that you remain aware of the pillow's condition, as it has therapeutic purposes. Worn ones should be replaced right away. Finding the best cervical pillow for you is also essential – the wrong one may worsen your problem. When choosing a pillow, be sure it is one that is comfortable. The pillow should provide just enough head and neck support. It shouldn’t lift your head up too high or too low. If it seems to cause more strain than relief, then stop using it. If you're not sure if you need a cervical pillow, check out this video. Sleep Position: Thinner pillows are better for back sleepers, and they are some of our favorites. They won’t shift your head to far forward and should have extra support for your neck. A more firm option is recommended if you are a side sleeper. If you like to sleep in different positions, pick one that has features good for back or side sleeping. Size: The size of your neck and your weight ultimately determine how big a pillow you should have. The bigger you are, the larger the pillow should be. A smaller body frame warrants a more compact pillow. Filling: Some pillows have down and feather, but this is bad for allergy or asthma sufferers. Popular alternatives include memory foam which adjusts to the shape of your body, no matter what position you move to. Polyester fiber pillows are common but typically don’t last as long as other varieties. These aren’t the only choices, however. You’ll also find convenient travel neck pillows. They may help at the airport or on a plane. Another type is the neck traction pillow, an option if you have a herniated disc. It’s important to note a cervical pillow, especially an orthopedic one, can take up to two weeks to break in. If a physician is prescribing the pillow, make sure they discuss how to use it and how long it’ll take for your muscles to adjust. The relief could be immediate but not always. It may take time if you have severe pain or an underlying condition or injury. The following reviews will look at popular options. These will help you learn what to look for and find the best cervical pillow for you, based on items already proven to work. This particular pillow uses a polyester and bamboo blended filling that is designed to keep the back and neck aligned for a comfortable night’s sleep. Its modern memory foam can be shaped much in the same way as a common down pillow, so it can be fluffed or flattened as you prefer. This pillow can be used in any sleeping position, regardless of whether you sleep on your side, stomach or back. The comfortable fabric blend has been designed to regulate temperature and keep you cool and comfortable during sleep. Its hypoallergenic materials reduce the risk of irritation as you sleep. It can be easily washed, so that you will have no trouble keeping a clean pillow to lay your head on. With a moldable memory foam, this pillow will keep you cozy and comfortable. The pillow stays firm, providing the same orthopedic support regardless of whether you sleep on your stomach, back, or side. Your partner may feel more relaxed too – the neck and back alignment help reduce snoring and insomnia. Migraine, TMJ, and asthma sufferers may also feel better rested after using this pillow. The pillow is easily laundered. And you will be able to enjoy it as soon as you unpack it, as the pillow fluffs up straightaway. It has a good height that will provide you with the support you need and make you feel immediately relaxed and at ease. A moldable, durable fit if you expect an allergy-free, dust-mite resistant pillow that will help give you a good night’s sleep. The cervical spine and neck need support, and this pillow’s malleability may give you the relief you’ve been looking for. It contains memory foam and a shredded bamboo, polyester, and Lycra combo that add the kind of resilience which helps reduce strain. It good for the health of your muscles, nerves, and spine and can lead to increased mobility and a sense of restfulness when you awake in the morning. Wake up feeling refreshed and energized. The interlocking foam lets this pillow breathe. At the same time, it is firm enough to keep your head and neck in alignment. The pillow is perfect for a rest on your back, stomach, or side. It's also made and packaged with eco-friendly material, which means an even better night of sleep if you're environmentally conscious. Who says a pillow has to look like a pillow? Cuddle with this roll-shaped, 18-inch long pillow and its soft, gentle foam. You will be able to look forward to a more productive day after having good night’s rest. The roll can be your ally in the fight against muscular pain. 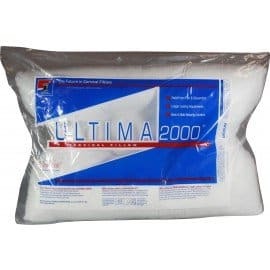 A dense, heat-sensitive viscoelastic foam both soothes and comforts. Seeing the imprint of your hand on the pillow can be entertaining, but the serious business of relieving your muscles and bones of strain will be quite well accomplished by using it. The roll pillow comes in four or six-inch diameters. You can pick the most comfortable size while benefiting from the orthopedic-grade support. Your search for a suitable pillow is over. GenieCure you a pillow that will let you sleep in peace and wake up feeling refreshed and rejuvenated. Here you’ll find the comfort of chiropractic-level support. If you’re a side-sleeper, this pillow is especially good. Unique side cutouts will meet your needs as a side sleeper and give you lasting comfort. Not on the light side and have trouble finding a pillow that conforms to your body? This one is rated for over 200 pounds and for folks with a 16 inch or larger neck circumference. 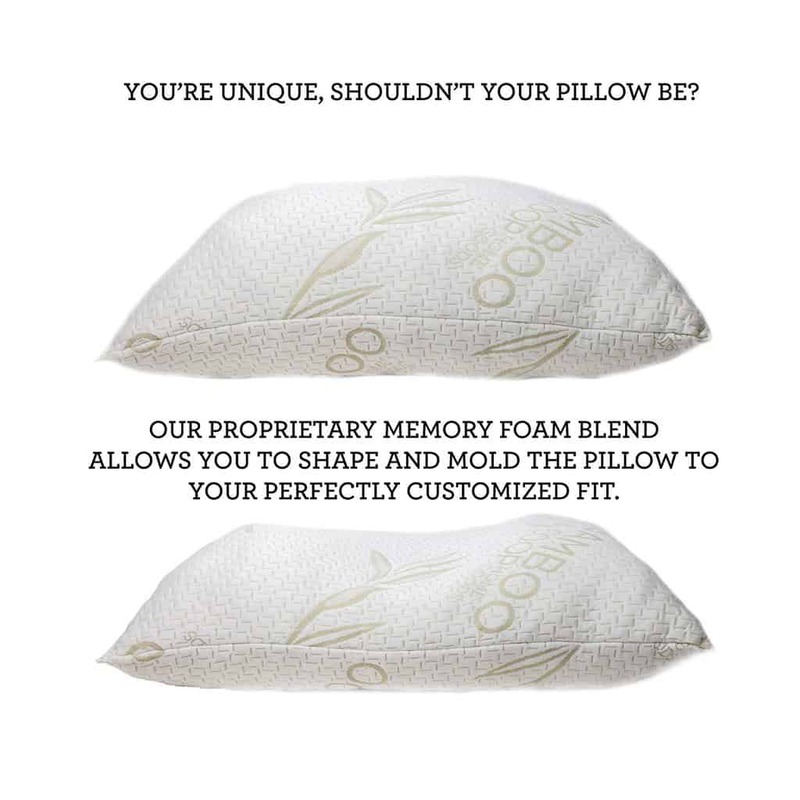 Your choice will enable you to get a restful sleep, as you will be harnessing the power of the latest breakthroughs in the science related to pillow design. The design of the pillow is such that you will be able to hold your head at a good angle through the night. The pillow has the general effect of helping to alleviate the kinds of pressures that can lead to neck and back pain. Neck, back, and shoulder pain can be persistent and prevent you from going to sleep. The right cervical pillow will give you alignment and significant pain relief. There are various ergonomic designs. Remember, the type of pillow you need depends on the medical condition and level of pain. These reviews and information should give you a good idea about how to look for the best cervical pillow and start your day pain-free.